If there’s one thing which becomes somewhat of a curse when you have a fresh baby or child in your life, it’s the inevitable struggle of what to buy them for their birthday (or any other special occasion). With so many family members have an internal ‘ace off’ trying to buy the biggest and best presents for the little one, you can find yourself feeling somewhat disheartened when you’re trying to buy for them on a budget. However, through the last 2 and a bit years that my niece has been alive, I have learnt a crucial lesson – it’s not always the biggest or most expensive gift that they treasure the most. Honestly, from electric cars she can physically sit in, to cute dolls and toys, the kid will just like whatever she likes; regardless of price or even thought behind it! With so many toys, games, clothes and books, you’ve always got to use your imagination when it comes to getting them a gift which is a worthwhile purchase. A little tip that I have found always seems to work, no matter what the object, is to make it personalised. Kids just love to see their name or face on stuff. I mean, didn’t you when you were a child? That’s where ‘Lost My Name’ comes in as a lifesaver. When they approached me to see if I’d like to order a personalised book for my niece, I knew it would be the gift for her to treasure throughout her early childhood. 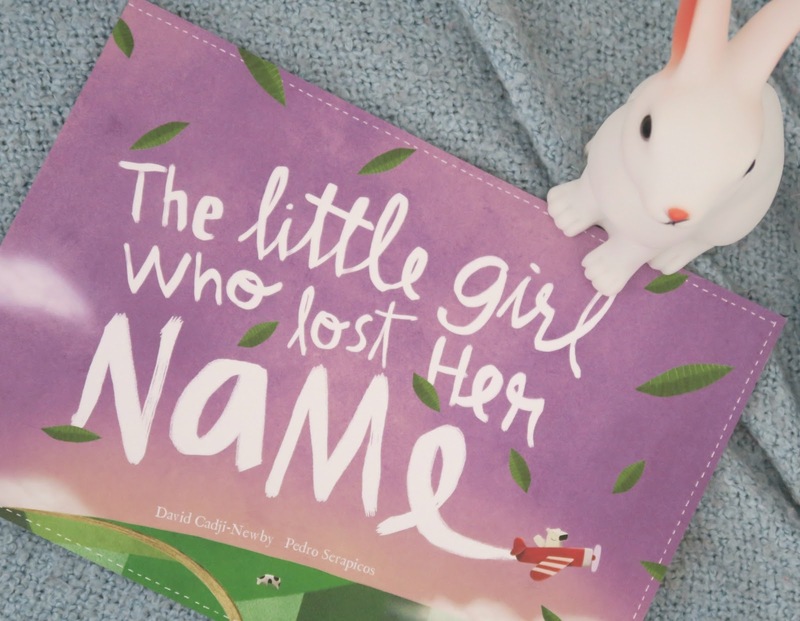 Ordering ‘The Little Girl Who Lost Her Name’ is so easy, and you can personalise not only the name, but the features of the kid within the book. Making the recipient feel like they actually had a book written for them! Ordering is really straight forward and easy via the website, from choosing the book through to personalising and on to the checkout stage. Despite my niece being a little too young for the story itself, as it is rather wordy, she LOVES seeing *herself* in the book and ca already recognise her name in writing at the end! It’s definitely a grower and I can imagine when she’s around 5 she’ll be dying to tell her friends at school about *her* book that someone else wrote about her. Kids do like to show off like that don’t they? Not only does the website have the Lost My Name book, but you can also get some other titles ready for personalisation, including The Incredible Intergalactic Journey Home book, where you can pop in your home post code and it will actually print a satellite view of your home within the book! You can also find the brand new Fantastic Firsts cards, which are perfect for expectant mums if you’re looking for a baby shower gift. The ‘Lost My Name’ book was gifted to me for a review, however, the other products are so perfect for people looking for that unique gift that I kind of had to mention them too! So if you’re looking for the perfect present for the kid who has everything, or something quirky for a mum to be, just pop over to the website and have a gander. Next Post Beauty Blog: barn//it Manchester Review: A Hair and Cocktail Experience!